While most think of the Coast as a summer destination, winters on the Sunshine Coast are mild, relaxed, and and full of great opportunities to escape the crowds. We partnered with our friends at All About Adventures to experience a winter escape to the Sunshine Coast. This itinerary is built for the adventurous. It’s for those who aren’t afraid to get a bit wet (and maybe a tad chill) before getting cozy. We think it’s worth the pay off but if you’d rather just soak it up at the spa with a luxury suite, the Sunshine Coast is great for that, too. Travel to the Sunshine Coast with BC Ferries. If you’re coming from Vancouver and beyond, start your trip here. If you’re coming from Vancouver Island, you can travel this itinerary in reverse. Jump into winter and head up to Dakota Ridge for a day of cross-country skiing or snowshoeing. Rental equipment, shuttles, lessons, and tours are available from Alpha Adventures to help get you into the mountains. Warm up after your winter adventure in the snow with a locally roasted brew at Strait Coffee. Strait is located at the turnoff towards Dakota Ridge, making it an easy stop for a jolt of caffeine. Once you’ve worked up an appetite, head to the Wobbly Canoe overlooking the ocean at Davis Bay. The view is perfect and the food is delicious. Once you’ve filled your day with adventure, good food, and great coffee, it’s time to head north. Park it for the night at Backeddy Resort & Marina in Egmont. 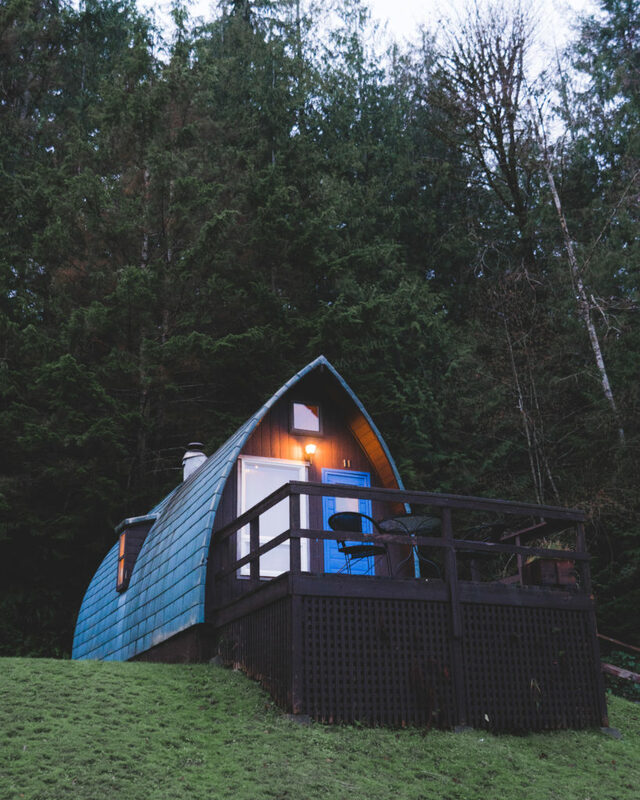 These cosy cabins overlook the ocean and are a great place to explore the local trails to Skookumchuck Narrows. After a cozy night in a seaside cabin, it’s time to see it from the air. If you make arrangements ahead of time, Harbour Air will pick you up at the dock at Backeddy Resort & Marina. 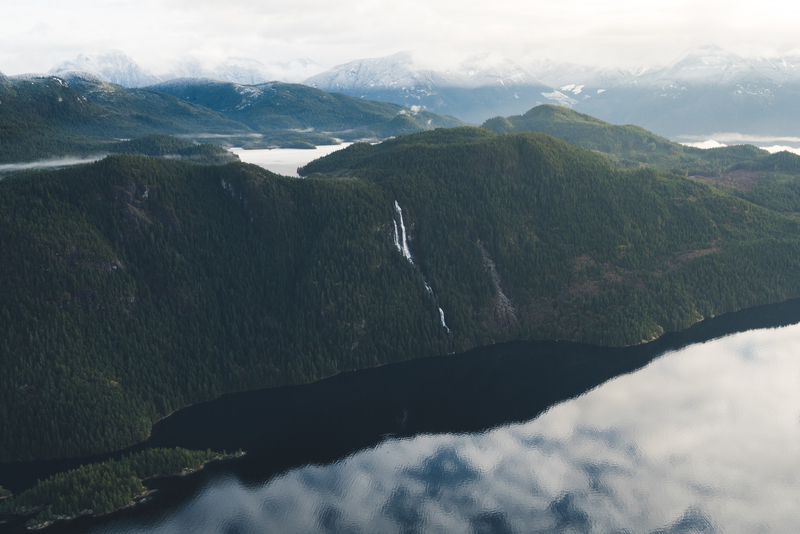 Enjoy the Sunshine Coast from the air on a floatplane tour over Hotham Sound and Friel (Harmony) Falls with Harbour Air. 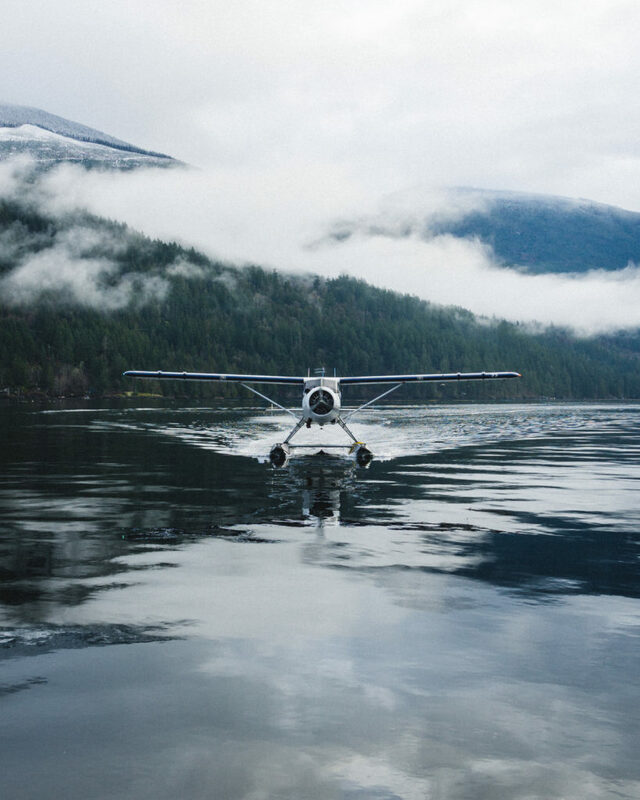 If you’ve never been in a floatplane, this is your perfect chance. The Backeddy Pub is the prefect place to enjoy lunch or dinner between floatplane and hiking adventures. The restaurant is open Thursday through Sunday and is located right beside the cabins. 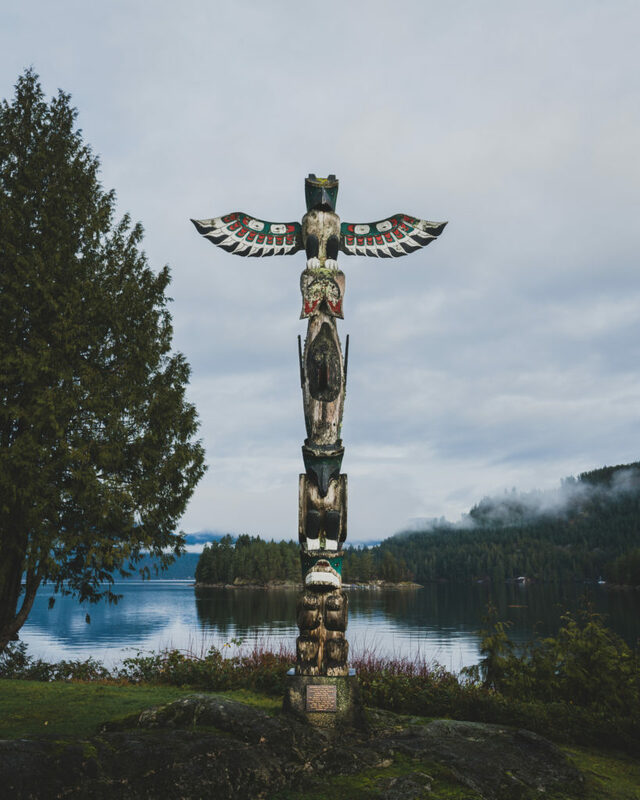 When you check out of the Backeddy Resort & Marina, you are only a 15-minute drive away from the ferry terminal in Earls Cove, where a 50-minute crossing on BC Ferries will take you to Saltery Bay, just south of Powell River. Time to stock up on supplies for an overnight backcountry adventure. The Sunshine Coast Trail is Canada’s longest hut-to-hut hiking trail, with multiple sleeping cabins along the way. 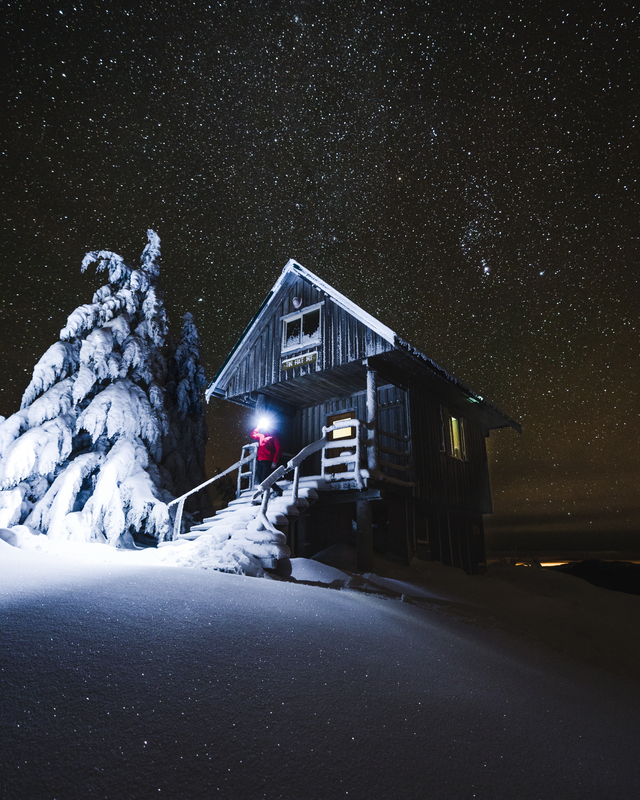 Grab your snowshoes and head out for an overnight adventure to Tin Hat Hut. This hut is winterized and has a pellet stove to keep you warm. Enjoy 360 degree views from the hut of mountains, lakes, inlets, and the ocean. It makes the perfect destination for a winter adventure. For shuttles, transportation information, and logistics contact Sunshine Coast Shuttle. As with any overnight camping trip, you’ll want to pack your own food and supplies. Shop ahead of time at the IGA in Madeira Park or Save-On-Foods in Powell River. 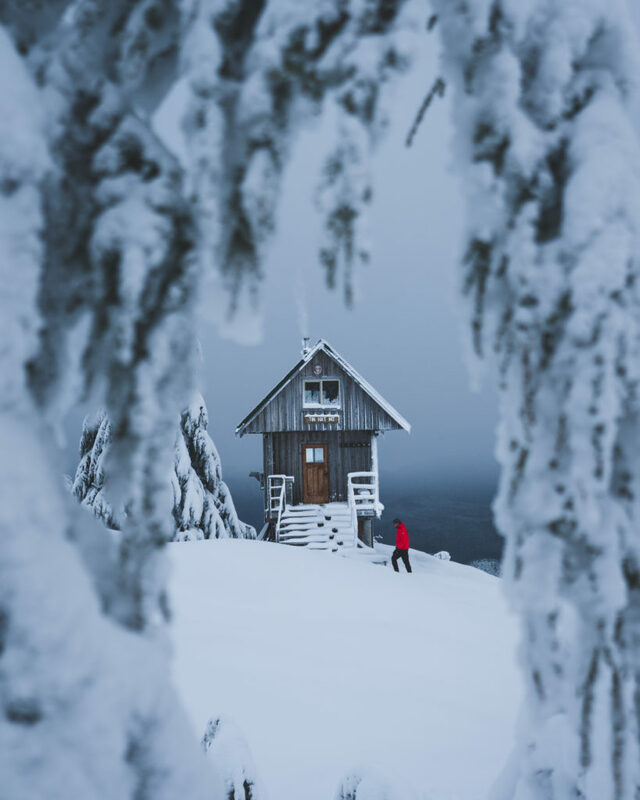 The Tin Hat Hut on the Sunshine Coast Trail is free for guests to stay overnight and it is operated on a first-come, first-served basis. You’ll need to bring your own food, cooking supplies, pellets for the stove, sleeping bag and mat, first aid kit, and any other camping supplies you may need for your trip. Enjoy a slow morning at Tin Hat Hut before hiking down. If you have time or want to extend your trip, here are more suggestions for exploring Powell River and Lund. Otherwise, begin your journey home south on Highway 101 to return to Vancouver and beyond, or take the ferry from Powell River to Comox on Vancouver Island. The following itinerary has suggestions for backcountry, winter snowshoeing, and hiking. Snowshoeing and hiking in winter conditions can be hazardous. 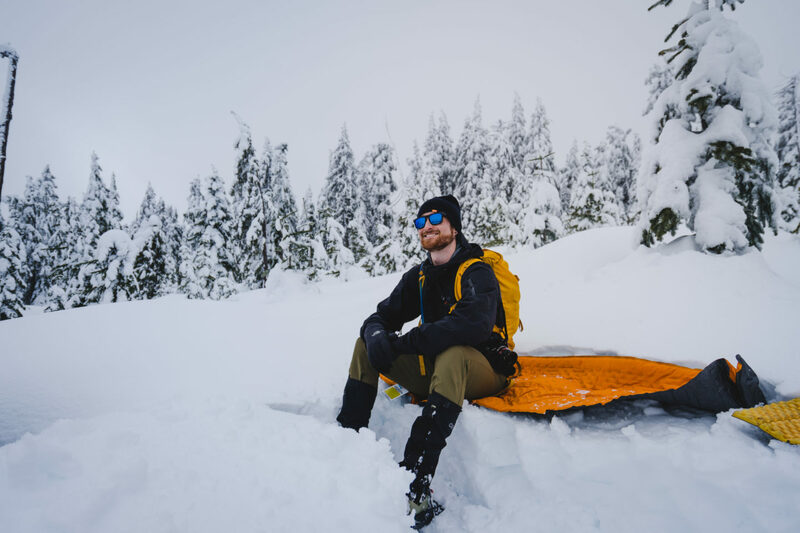 If you are travelling through avalanche terrain, you and everyone in your group must be self-sufficient, carry all the proper gear (transceiver, shovel, and probe), have avalanche training. BC Adventure Smart is a great resource to help you get informed before heading outdoors. Remember the three T’s–trip planning, training, and taking the essentials. The weather on the Sunshine Coast can change daily. Bring layered clothing, camping gear, overnight packs, snowshoes, hiking poles (if preferred), matches and lighter, a light cookstove (propane or white gas), sleeping pads and bags, waterproof gear, etc. 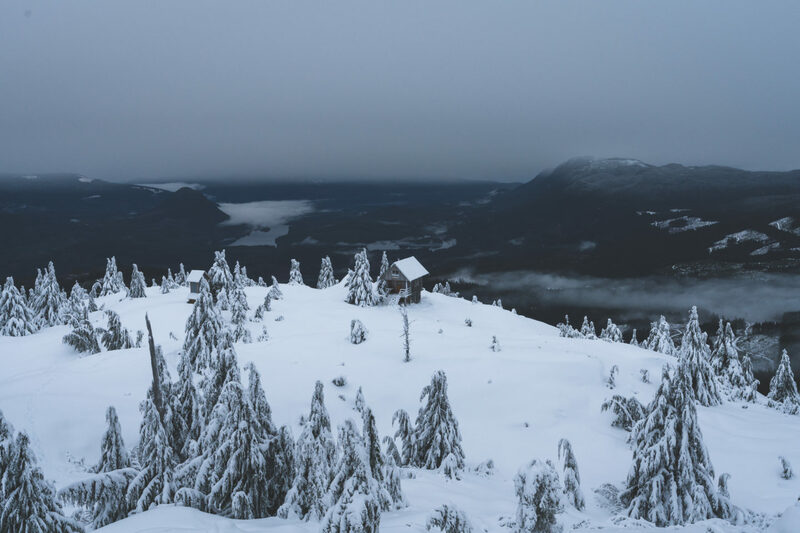 Pellets and a fire starter for wood stoves are a must if you plan to spend the night at Tin Hat Hut. The Sunshine Coast Trail has recommendations for backpackers on what to bring. This is not an exhaustive list so be sure to do your own planning as well. Need help planning your trip? Send a message to us on Instagram, Facebook, Twitter, or email, and we can help. 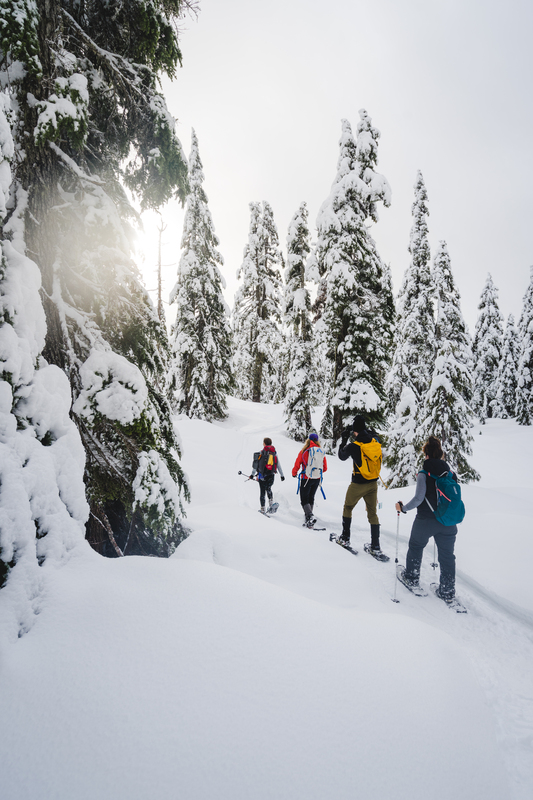 Be sure to tag #SunshineCoastBC and #AllAboutAdventures during your winter adventures. We are a team of content creators, storytellers and adventurers that strive to inspire others to explore!